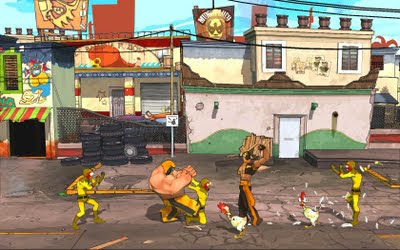 Lucha Fury is a new downloadable title, mixing the world of Mexican wrestlers with Streets of Rage gameplay and the graphics of Borderlands. On paper, it's a sure fire hit, and the graphics stand up against some retail games. What a shame then, that the gameplay is the cause of it's downfall. 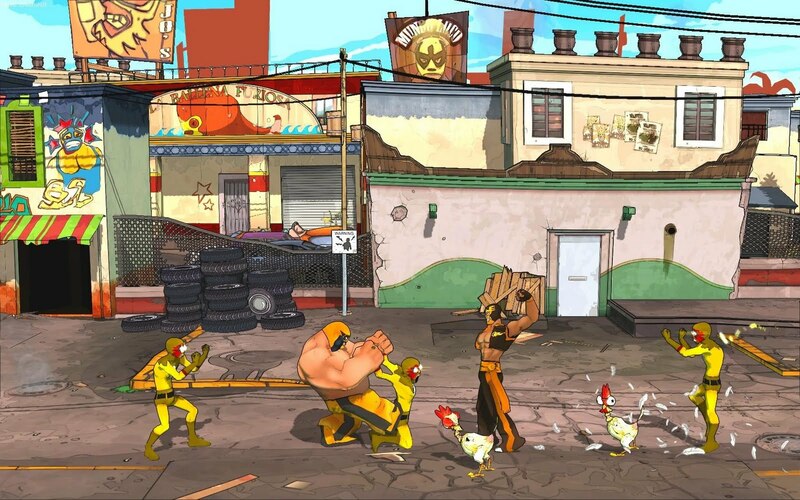 The game is a side scrolling beat 'em up, and works just like all the games in the genre. 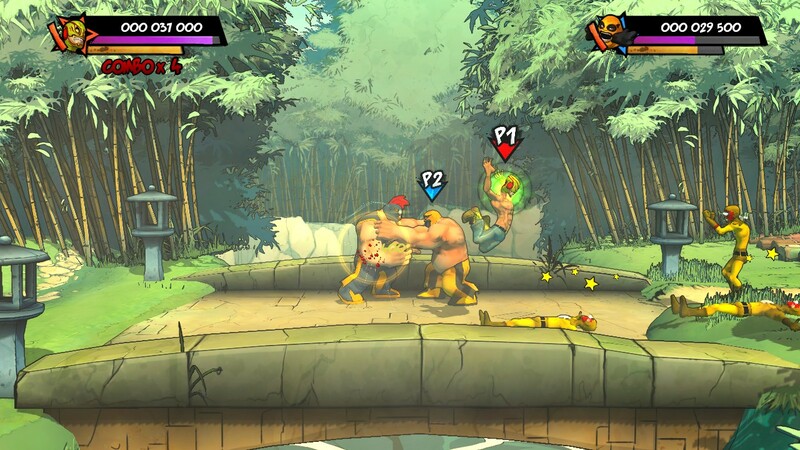 Move along the level, defeat a bunch of enemies in order to progress further, and so on. You would expect the characters (of which there are four) to be quick on their feet and with their reactions but they just aren't. They feel sluggish and slow, and getting from area to area is more of a chore than anything. So the movement isn't good, surely the combat is amazing? Erm, no. The combat is an even bigger disappointment than the general task of progressing on foot. Defeating enemies requires a simple combo. There is no motivation or reason for you to do anything else. 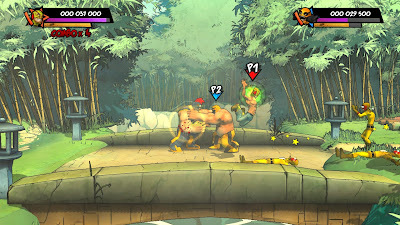 There are more combos, but they don't unlock as often as they should, meaning that the standard combo plus a drop kick every now and then means that you're pretty much set for the entire game. Another flaw is that you are very easily stunned. Enemies land a few consecutive hits and you become dazed. To break out of this, you must vigorously shake the right stick back and forth, but when you are back to normal you usually don't have time to kill any of them or escape, and it happens again. All of these flaws and gameplay shortcomings work together to really ruin the game, making it an almost unplayable mess. There is no motivation to carry on playing because you know it will be more of the same. The only redeeming factor of the game is the art. The art team have clearly put in so much heart and soul, but the rest of the game does not share the same high standards. The character models are great and the world is detailed and colourful. Amazing ideas and art direction let down by some unforgivably bad gameplay. Different characters and unlockables may add some replayability to it, but there isn't enough playability in the first place to make them a necessary addition. If you want an amazing beat 'em up, buy Scott Pilgrim Vs The World.